The Efest LUC V6 Vaping Battery Charger is a perfect choice for charging your vaping batteries. It features six charging channels, an LED Display showing voltage and charge and has 4 levels of protection. It can also be used to charge mobile phones and other USB devices connected through it’s USB socket. It is compatible with a wide range of vaping batteries: 10440, 16340, 14500, 14650, 17500, 17670, 18350, 18490, 18500, 18650, 18700, 22650, 26500, 26650, 20700 and 21700. Please always follow the manufacturer’s instructions for safe battery charging and use. The Efest LUC V4 Vaping Battery Charger is a perfect choice for charging your vaping batteries. It features four charging channels, an LED Display showing voltage and charge and has 4 levels of protection. It can also be used to charge mobile phones and other USB devices connected through it’s USB socket. 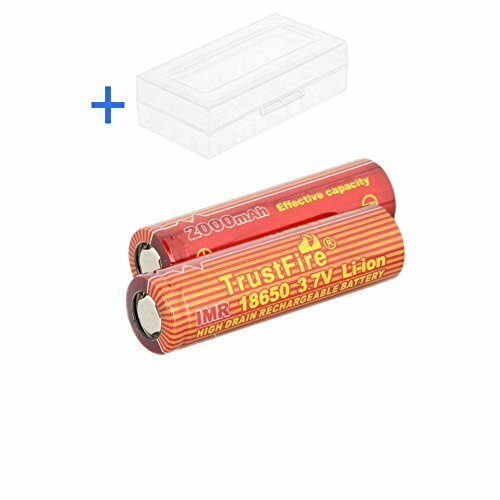 It is compatible with a wide range of vaping batteries: 10440, 16340, 14500, 14650, 17500, 17670, 18350, 18490, 18500, 18650, 18700, 22650, 26500, 26650, 20700 and 21700.